There’s been a lot of talk recently about pregnancy scans. I’ve taken a keen interest because as you might already know, I’m pregnant. At forty-two, due to give birth at forty-three with two miscarriages behind me, you can imagine that I’m more anxious than most. I’ve been through a lot to get here. Not as much as many others but having had IVF as a ‘lifestyle choice’ with my first who is now three – I was ‘older’, having left things due to my career and thought IVF would be quicker, this pregnancy was spontaneous or natural. I don’t know why they call it spontaneous because it felt anything but! After two frozen embryo transfers that failed (bad luck but we had the embryos frozen from the IVF so thought, having tried for six months, that again it would be quicker) we were told to go away and try naturally. By this time I was starting to feel old! With one miscarriage soon after, then another a year after that with a lot of trying in between, I fell pregnant. Just as we were preparing to go back for another embryo transfer. There’s a lot involved with monitoring and trying to avoid miscarriages; offered at a huge cost if you go private. With beta HCG blood tests (pregnancy hormone that doubles every 48 hours in early viable pregnancies) every other day to progesterone suppositories, blood thinning injections daily and of course scans. I became savvy to all this so instead of paying a private clinic for everything, I got my GP to support me, giving me blood test forms and prescribing medication. My beta HCG numbers were doubling comfortably and at five weeks, really the earliest possible to scan, I went to the Early Pregnancy Unit at the Royal Free Hospital who looked after me. I had my first four scans there, a week apart before being discharged. From there on in, if all is well, you are on your own scan-wise with the NHS, with one at 12 weeks then at 20. At this stage it’s the only way really see the baby and get reassurance. Unless you have been through it, you won’t realise that even a couple of days after a scan, the jitters set in and you begin to worry about whether everything is okay. Particularly if you are higher risk and have had miscarriages. It’s just so stressful waiting. You feel like anything could happen and the reassurance that you get from a scan wears off very soon after. So, I did what anyone would do to save their sanity and put my mind at rest: I went to the Birth Company; a private clinic in Harley Street, they specialise in pregnancy scanning and they also pioneer an amazing program called iBabyScan : it literally records your scan and saves it, then sends you a link and a password so that you can access it anytime on the Internet (or let family members too). I went every week without fail and as time passed the worry and the stress slowly lessened. With each scan I felt more confident. Anytime I felt nervous, I just logged in and saw my baby’s last scan. 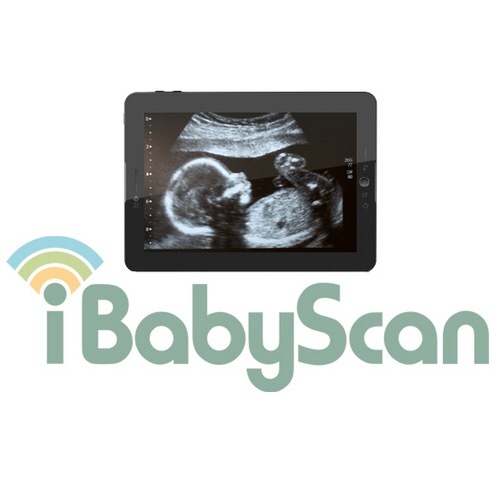 They are the only clinic in the UK with this technology so if you are going to go private, I highly recommend them as they use expert sonographers and you get the huge added bonus of online access 24/7 to all your previous scans. The reason that scans have been taking a beating in the press recently is down to the idea of getting ‘pictures’ of your baby to show-off to anyone who will look at them. There are murmurs of the dangers of ultrasounds on the fetus too but having done my research and asked top consultants and sonographers, this is unfounded unless you are looking at scanning for a prolonged period of time on regular basis and once a week is nowhere near level of exposure; you are talking hours on a daily basis. There is no evidence to suggest that scans harm a fetus but we do know that a stressed mummy is certainly not conducive to a healthy pregnancy. So, before you condemn anyone showing you their scan, think again because scans are there for a reason and they’ve been around a long time because they are indispensable. If you are a worried and pregnant however, then get yourself down to the Birth Company – don’t suffer in silence, get some reassurance. Baby Pregnantcitygirl waving from the Womb. 4D Video Clip. A 4d, produced Baby scan DVD!! I'm so excited, I just had to post a quick one about this! Mothercare launches an App and it's Mega-useful too!